For the mushrooms, melt the butter with the oil in a frying pan and cook the garlic and mushrooms over a medium heat until soft. 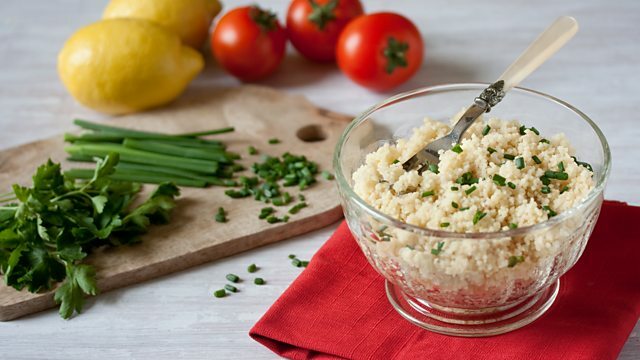 For the couscous, place the cooked couscous into a bowl along with the lemon juice, olive oil and herbs and mix well. Add the mushrooms to the couscous mixture and season to taste with salt and freshly ground black pepper. Lightly oil a small bowl and pack the couscous mixture into the bowl. To serve, turn the bowl of couscous out onto a plate.